Most domain sellers will trying contacting buyers using email. But, in the modern day where spam and fraudulent emails are rife, it’s hard to determine which sellers are trustworthy. If you find a domain that you are interested in, check the seller’s email address. Is it a personal, random or business email address? The majority of legitimate sellers will have their own bespoke email address with their associated website. However, if you are not sure, you can always ask the seller to email you from their business email account or provide further information about their business and background. Like any potential purchase, do your research beforehand. It is worthwhile reviewing their website, testimonials and any online reviews. A proven seller would be happy to share their testimonials and direct you towards any references. Thorough research will enable you to make a decision about whether you want to do business with the seller. Read and clarify all terms and conditions of sale. Domain sellers are obliged to provide full transparency over the terms of sale. Make sure that you understand and accept all terms in line with purchasing the domain(s). All final negotiations, agreements and payment terms should be confirmed in writing. 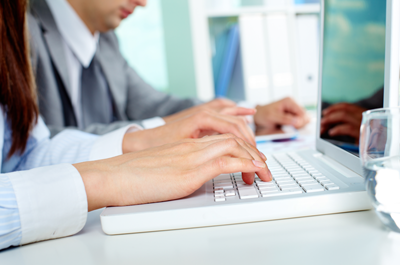 The written correspondence is a legal contract that you enter with the domain seller. If there is any dispute, your correspondence will act as evidence to the agreement in place. We would recommend that you review all correspondence prior to accepting any terms to ensure that you are entering a contract that you completely understand and except. Extra Tip: Check that there are no hidden costs included. Escrow services are third party companies, which collect, hold and release funds online, according to transaction terms agreed upon by the Buyer and Seller. All trusted Escrow services are government regulated and licensed escrow companies, which comply with Escrow law. Through using Escrow services, both the buyer and seller are protected from potential online fraud. In the case of domain sales, payment is collected and cleared from the buyer prior to the transfer of a domain name. Following the transfer of the domain name, the buyer has a number of days (usually 3 or more) to accept the name before any monies are released to the seller. OY! Domains uses Escrow.com – Find out more about buying domains online on our Buying Domains Online page. If you are using an Escrow service (see tip 5), then once you have completed the transfer of the domain to your control, you will enter the ‘Review’ period. This period is usually a minimum of 3 days, but may be longer depending upon your arrangement with the seller. During this period, you have the opportunity to review your new domain(s) and make sure that you are completely happy with the transaction. If you find that the domain or terms are fail to match your agreement, you can raise a dispute with the Escrow company, who will suspend the release of the payment until the matter is resolved. If you are happy with the domain and the terms, you can accept the domain at any point during the ‘Review’ period. If the ‘Review’ period elapses without any dispute, payment will be processed to the seller in due course. Be safe when buying domains online. OY! 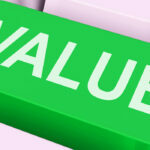 Domains is committed to providing simple, safe and secure online domain name purchases. 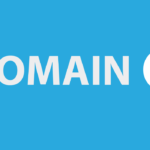 Read more about Buying Domains Online from OY! Domains. Do you have some more safety tips when buying domains online? Please share your thoughts in the comment section below.